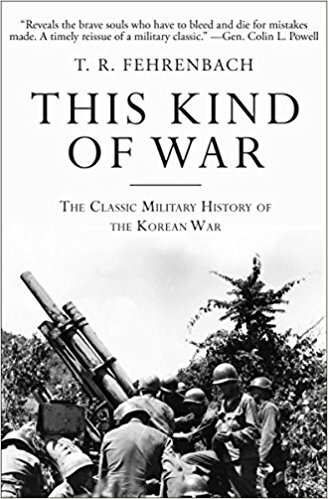 For those of us who are obsessing over President Trump's tweets about North Korea, Politico recently posted an article about T. R. Fehrenbach’s 1963 book This Kind of War. Apparently, Defense Secretary Jim Mattis is a big fan of the book, and has been relying upon it to develop the US's military strategy with regards to North Korea. I'm not exactly comforted by that news (the Politico reviewer points out several flaws with the book), but I'm always interested to read more about North Korea, so maybe I'll try to hunt this down at my local library.